The Recovery of the Lost Sheep of the Church of England by Home Missions in her Large and Destitute Parishes: A Sermon Preached at the Opening of the Mission Chapel, Calvert Street, S. George's, East, on Thursday, November 27, 1856. An Address to Catholics from the Brethren of the Society of the Holy Cross, May, 1869. London: W. Knott, Joseph Masters, 1869. London: Privately Printed for the Society, 1870. By Edmund Gough de Salis Wood. London: Printed for the Society by W. Knott, 1873. A Sermon Preached before the Synod of SSC at St. Peter's, London Docks, May 1873. By W. J. E. Bennett. With Synod Proceedings. The Oath of Homage: A Paper. Holborn: Privately printed for the Society by W. Knott, 1875. Restitution: A Paper Read before the Society of the Holy Cross at the May Synod, 1875. London: Printed for the Society by W. Knott, 1875. On Processions: A Paper Read before the September Synod of the Society of the Holy Cross, 1876. Holborn: Privately printed by W. Knott, 1876. Are Catholics Catholic? A Sermon Preached (in Part) before a Society of Priests. Epitome of Reports of Local Branches. The Roll of Brethren and Probationers of the Society of the Holy Cross, Arranged Alphabetically and According to Their Standing in the Society to Which Are Added the Names of the Master's Council, Assessors, & Officers, Together with a List of Local Branches and Committees. 1876-77. Holborn: Printed by W. Knott, 1876. A Statement of the Society of the Holy Cross Concerning The Order of Corporate Reunion, with An Appendix upon the Jurisdiction and Mission of the Bishops of England. Printed for the Society by W Knott, 26, Brooke Street, Holborn, EC, 1879. Discipline in the Confessional: A Paper Read before the May Synod of the Society of the Holy Cross, 1884. London: Privately printed for the Society of the Holy Cross by W. Knott, 1884. On the Honour Due to Our Lady: A Paper Read before the May Synod of the Society of the Holy Cross, 1885. London: Privately Printed for the Society, 1885. On the Invocation of Saints: A Paper Read before the September Synod of the Society of the Holy Cross, 1885. Society of the Holy Cross: The Romanising Conspirators at Work. George Rundle Prynne: A Chapter in the Early History of the Catholic Revival. London: Longmans, Green and Co, 1905. The Form of Consecration in the Holy Eucharist: A Dissertation, being the Substance of a Paper Read before the Society of the Holy Cross on September 15th, 1905. By Charles F. G. Turner. 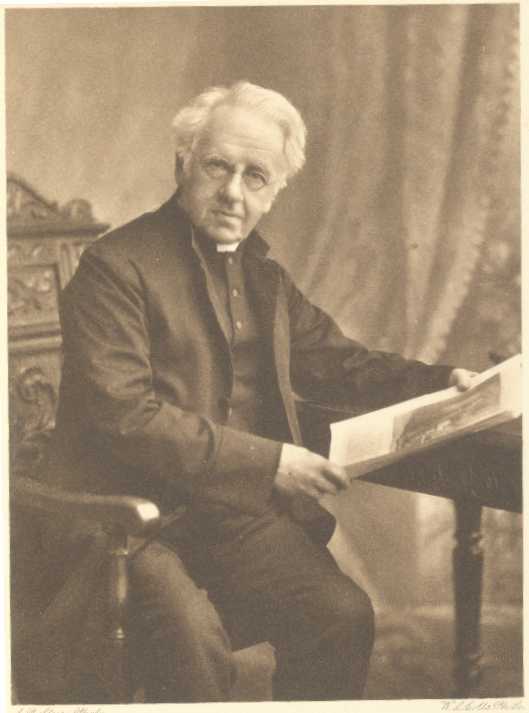 The Story of W. J. E. Bennett, Founder of S. Barnabas', Pimlico and Vicar of Froome-Selwood, and of His Part in the Oxford Church Movement of the Nineteenth Century. By F. Bennett, M.A., Formerly Rector of Farleigh, Surrey. New York, London, Bombay and Calcutta: Longmans, 1909. The Catholic Movement and the Society of the Holy Cross. London: The Faith Press, 1931. The Attempt to Control Ritualism in the Church of England through the Use of Legislation and the Courts, 1869 to 1887, with Special Reference to the Society of the Holy Cross. By Paul Peter Gerald Kitchenham. Ph. D., University of Durham, 1997. In This Sign Conquer: A History of the Society of the Holy Cross (Societas Sanctae Crucis) 1855-2005.